Like moving box tape… I mean, who would think that the tape you use for moving boxes would matter? Well, it does, and I’ll tell you why: if you use the wrong tape, your boxes might leak, open, or simply fall apart, whether in the moving truck or on your foot. So, what is the best moving box tape to use then? You have four options: shipping tape, masking tape, duct tape, or filament tape. 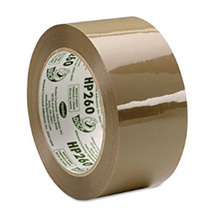 Shipping tape is a thin-but-sturdy tape that is either clear or brown. It is cheap, easy to use, and strong enough to seal boxes. It is also water-resistant and very sticky. It is your BEST option for the average moving box. 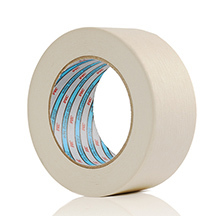 Masking tape is a light brown tape that has the feel of paper. It is very easy to rip and wet. It is also very easy to use – though sticky, it is easy to peel and place, and it can be written on. Due to its weakness, masking tape is better for labeling boxes, not sealing them. Duct tape is the water buffalo of tapes. It is sturdier than a tree and stickier than Velcro dipped in glue. It is often grey, and it is reinforced with cloth or plastic, making it difficult to work with but extremely resilient. Duct tape is best for reinforcing very heavy boxes or for securing items in place. 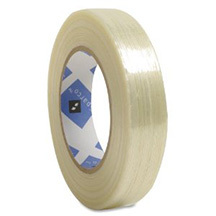 Filament tape – This tape is similar to shipping tape, except is it reinforced with an inner, plastic lining, making it very difficult to rip and cut. Like duct tape, it is good for heavy boxes. 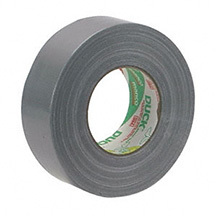 Electrical tape – It has little hold and is very expensive. Scotch tape – Save this weak stuff for taping together your ripped dollar bills. Medical tape – For obvious reasons. Like the type of tape you use, the type of moving box you use is very important. Learn about the different types of moving boxes.